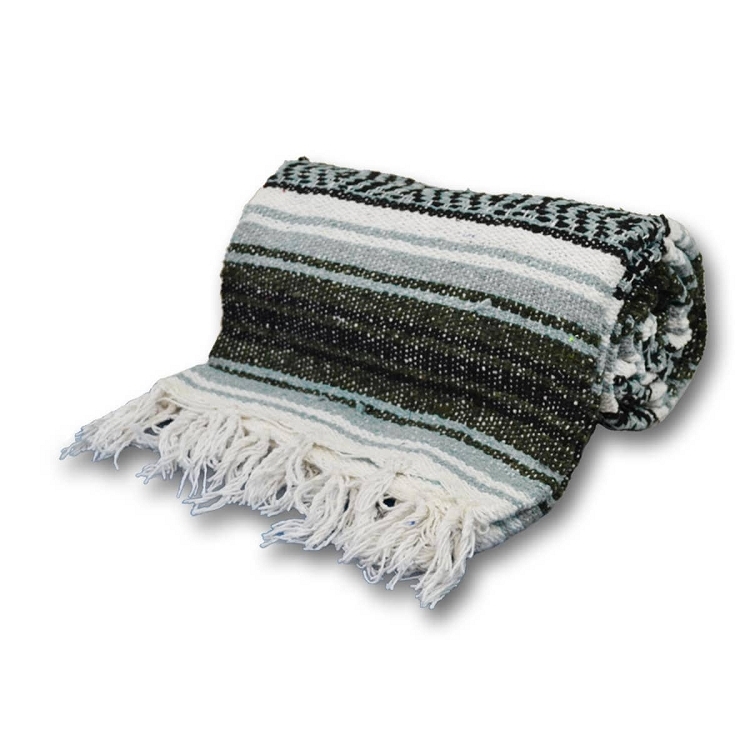 This extra heavy Mexican blanket is a perfect way to end a yoga class in savasana. 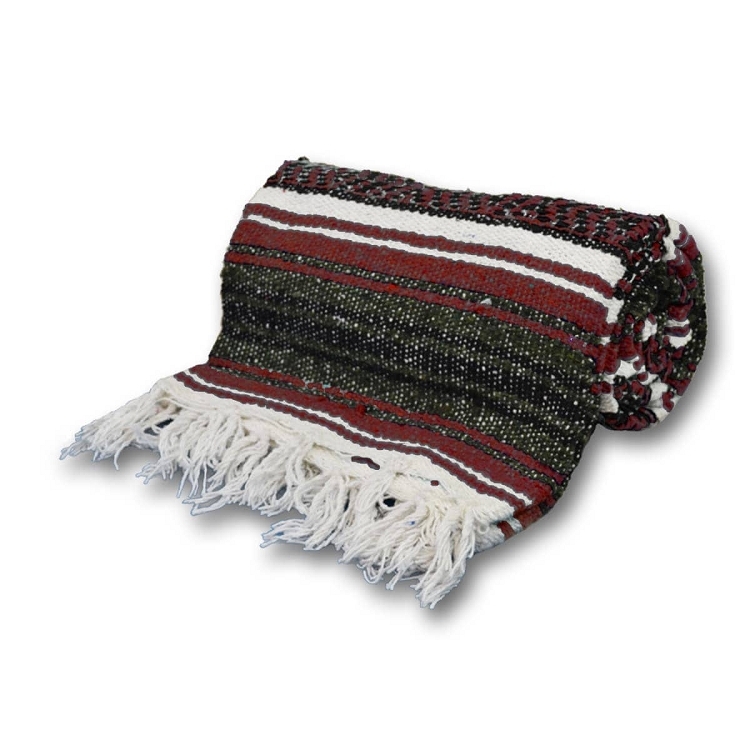 A thicker version of our widely popular traditional Mexican yoga blanket, this Mexican blanket has a tighter, thicker weave with the same pattern style. Use it rolled up as a miniture bolster, under your head as a pillow or even as a beach blanket! The bright and colourful Multi colour Deluxe Mexican Yoga Blankets will add colour, style, warmth and comfort to your client's yoga practice. 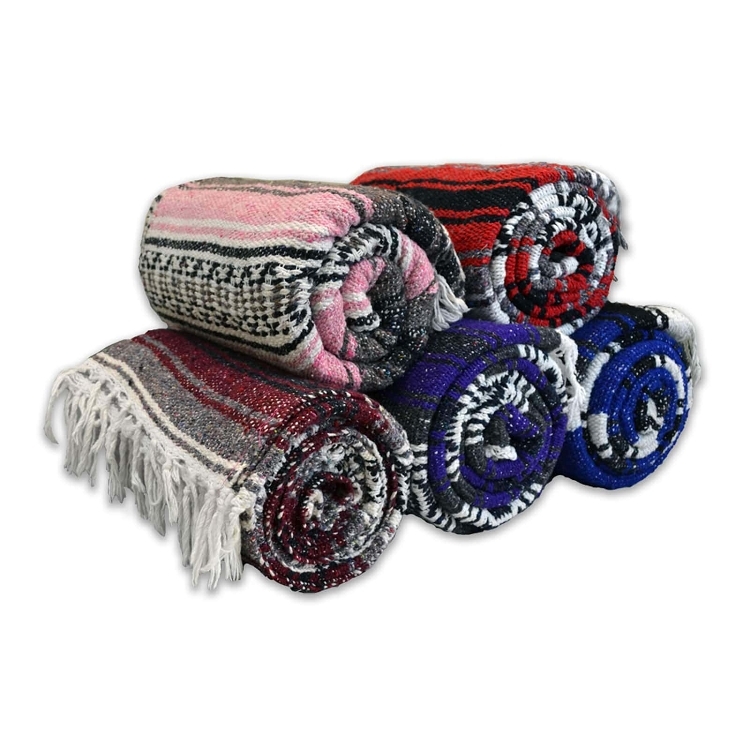 Our blankets are machine washable for easy care, and the traditional striped patterns on each blanket come in a variety of different styles that you can choose from to best suit your studio or gym.